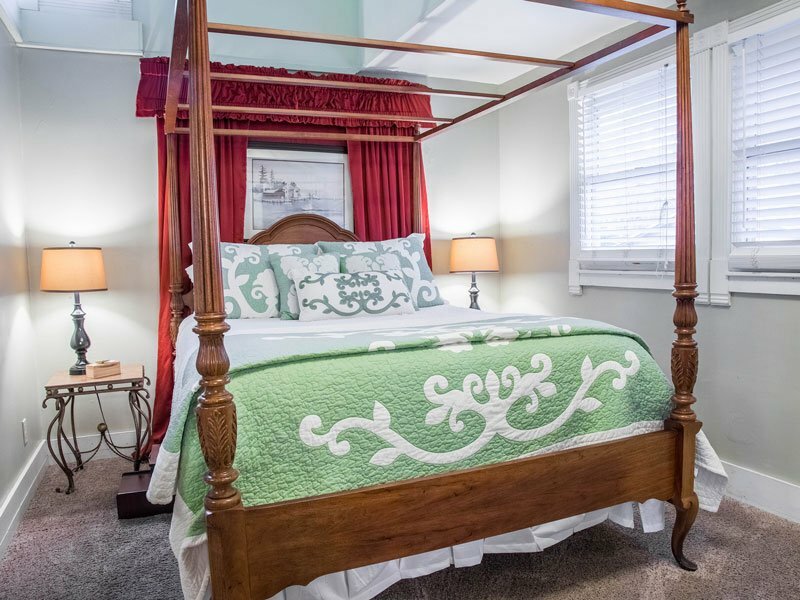 Located on the second floor in the beautifully restored Carriage House, the suite features three rooms. It has a private entrance and is accessible through the walled garden. The suite has a comfortable living room with an electric fireplace, flat screen television, WIFI, Henredon leather sofa and wing chair. A queen-sized canopy bed awaits you in the bedroom and antique stained glass, elaborate Victorian paddle ceiling fans, and two large closets. 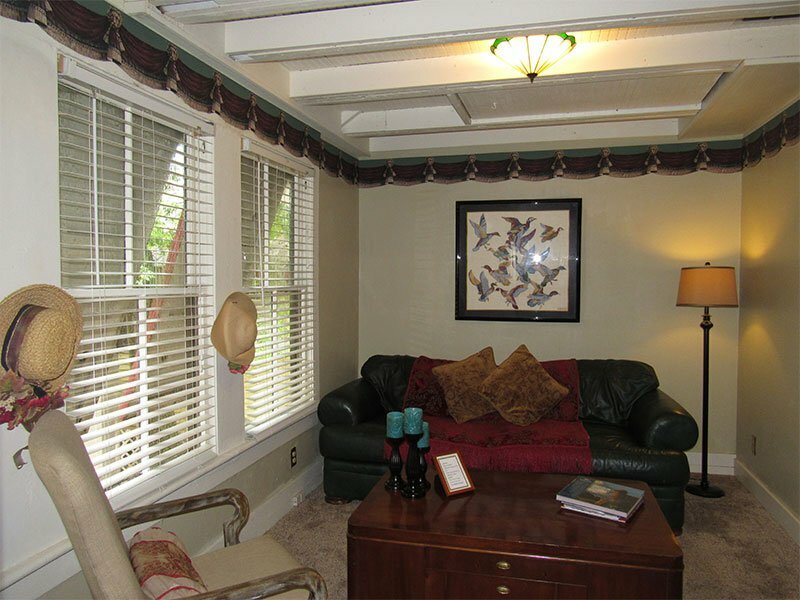 Both the bedroom and the living room have vaulted ceilings and exposed beams. 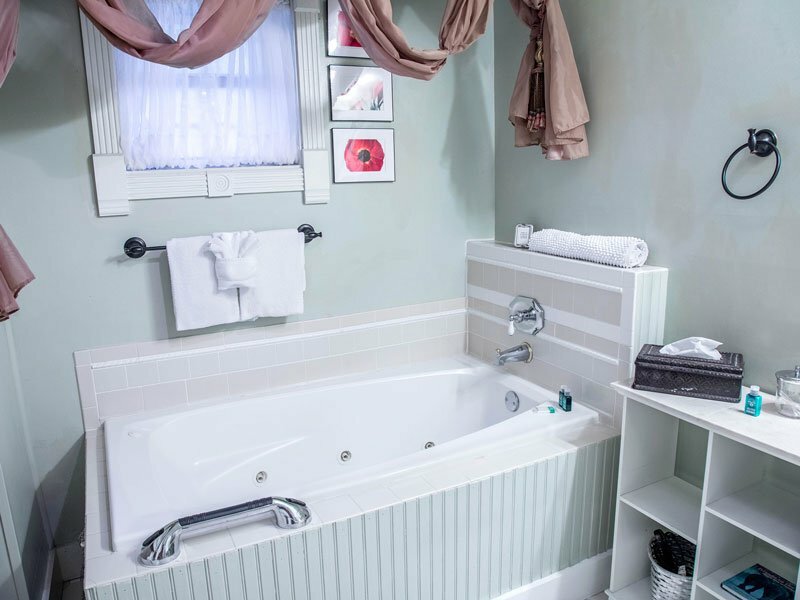 The large modern bath has a Jacuzzi whirlpool tub, and a separate shower with an easy 6 inch step over ledge.